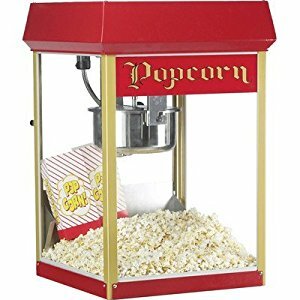 Introducing…Upop’s “FREE POPCORN MACHINE LOAN PROGRAM”! For Business Use Only – No Residential, please. FREE USE OF POPCORN MACHINE! FREE KETTLE CLEANING & MAINTENANCE! At last, a low cost method of serving fresh, hot popcorn! Let your customers know how much you value their business! Thank them with fresh, hot popcorn! Save the expense and hassle of owning and maintaining popcorn equipment! As long as you buy at least 2 cases of popcorn each month, (an average of less than 2 batches per day) you will never be charged for use of the popper! Every six months, you will earn a kettle swap for your messy one! At your request, we will send a clean kettle, and a call tag for the used one. Simply swap them out, and place the used one in the carton, for it’s return. We will pay the shipping costs both ways for this swap, so you will never need to scrub it. An occasional wiping out of the cabinet is all of the cleaning you will ever have to do! If you only pop an average of two batches of popcorn a day, you will easily go through two cases each month! If anything ever goes wrong with the popper, except by operator caused damage, it is fixed on our dime, not yours! After six months, this becomes a month-to-month program that you can end, simply by returning our popper in good condition. Please save the original carton and packing materials in which the popper came. The popcorn comes in cases of 24 pre-measured pouches of corn, salt, and oil. All you do is snip off the top and dump it all in. No waste! Just great tasting, movie style popcorn, pop after pop! Even with all of this convenience, your serving cost will be less than 18 cents per 8″ serving bag! 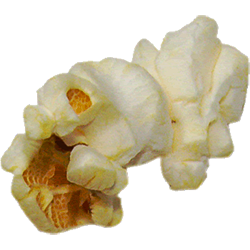 Fresh, warm popcorn is a great promotional item which can give your business a lift! So give it a try. There are no deposits. And, if you are not completely satisfied , we will buy back any unopened popcorn from you at the full price! It’s really goof Proof! Just snip off the top & pour it all in! 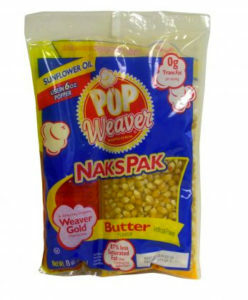 “If, at any time, our popper is returned to us, either, at your request, or our option, we will buy back all of your unopened cases of popcorn, at the original sale price, less any minimum usage fees that apply! So, Give us a call! We will answer any questions. 24 / 10.6 oz. Pouches Per Case. 240 / 1 oz. Servings Per Case. * Price includes shipping cost. Please add $9.00/cs. to offset some of the shipping expense, if you are more than 150 miles from Portland, OR. **Minimum Usage Fee is waived in months with purchases when two or more cases are purchased. *For Business Use Only – No Residential, please.